A shipping and handling charge of $6.50 is added to online purchases to cover the cost of postage , shipping materials and processing. An additional $2.00 per workbook fee is required to cover shipping and handling for multiple books. Step 2: Fill in the form with the address where you want your workbook to be mailed. It typically takes 3-5 business days. If we anticipate a delay, we will contact you w/in 24 hours of payment - you will have the option of a 100% refund if the extra shipping time is not suitable. 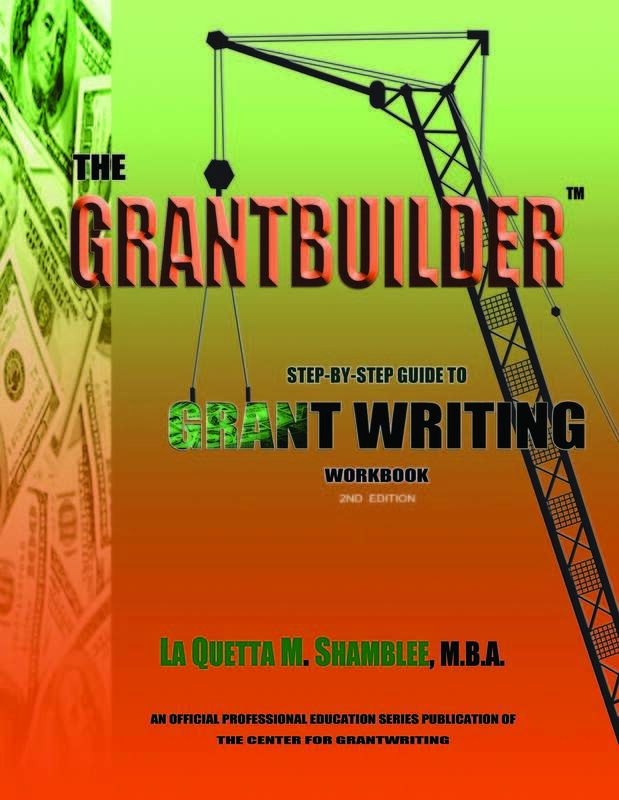 Each workbook includes a complimentary registration to our 3-part "Ask The Grantbuilder", live online mentoring program. We do not sell, share or distribute your personal information to third parties.